At LabVantage, we are firm believers in the importance of training & ongoing education. While developing a cutting edge LIMS platform is important, ensuring our customers can maximize their use of the software is equally as important – if not more important. LIMS training is important for a number of reasons. Whether it’s learning how best to configure your LIMS for an efficient startup or providing key users of your system the knowledge they need to maximize its daily use, training is a key element to both a successful implementation and effective continuing daily use of your LIMS. Since no two LabVantage clients have the same LIMS configuration, the ability to modify the system to meet specific company or organization needs & workflows is central to your success. Training provides the necessary knowledgebase for you to tailor your LIMS as well as leverage its full capabilities – from initial setup to data acquisition to routine reporting. We first launched our training program sixteen years ago, in 1992. 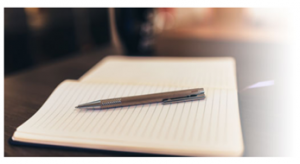 Since then, we’ve adopted new learning techniques and technologies, and fine-tuned our content & curriculum to keep you abreast of LIMS best practices. Today, LabVantage offers a wide variety of training courses to our customers. (If you have questions about your eligibility to attend, please contact us.) Courses are available at our offices in Somerset, NJ, USA or at a training facility in San Diego, CA. We also offer virtual classrooms which simulate a physical classroom environment, as well as eLearning modules. This three-day course teaches you how to operate the LabVantage software using the LIMS site map. From logging a sample to managing a request and all process points in between, you will gain experience in using LabVantage to record and maintain your laboratory’s vital data. A four-day course tailored for administrators. You will learn how to create master data and configure LabVantage to suit the data management needs of your company. Included in the LabVantage toolkit is the ability to modify the page configurations supplied by the LabVantage application. This three-day course will teach you how to use the full Web Page Designer suite so your company can configure LabVantage for your needs. This three-day course is delivered just before a new LIMS project kick-off. The course familiarizes users with the capabilities of the application in order to streamline the use of time and efforts during the project. Eliminate unnecessary paper records with the LabVantage Electronic Laboratory Notebook (ELN) and Laboratory Execution System (LES) modular extensions to LabVantage. LabVantage offers several different options when it comes to designing your report output. One option is to use Studio from Jaspersoft. This 2-day reporting class includes instruction for how to use the design tool to build a new report. Our three-day LabVantage Workflow designer course gives you the knowledge needed to develop and deploy Workflows. A two-day course shows you how to configure and operate the LabVantage BioBanking module. You’ll learn how to create master data, controlled vocabulary, storage locations and more. In this course you learn how to create a long-term study beginning with a plan through execution and completion of the plan in order to evaluate performance when samples have been exposed to different environmental conditions. If you have purchased LabVantage’s Pharma package, you’ll need an introduction to the software, the Pharma program, and overall LIMS best practices. This four-day course familiarizes you with the program to streamline the use of time and efforts during project kickoff, the ensuing workshop, build testing, and end-user acceptance. 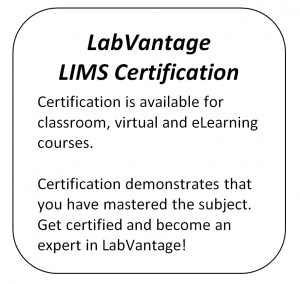 Want to learn more about LabVantage LIMS education and training courses? Download the Full Catalog (pdf).